ARE YOU A PEDIATRIC RESIDENT? Dnb Pediatrics Blog is a platform to learn pediatrics the #FOAM ( Free Online Access Medicine) way! 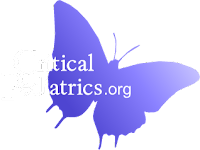 Along with our friends, we are attempting to form an academic resource for pediatric postgraduates. www.dnbpediatrics.com by Dr Ajay R Agade is licensed under a Creative Commons Attribution-NonCommercial-ShareAlike 4.0 International License.